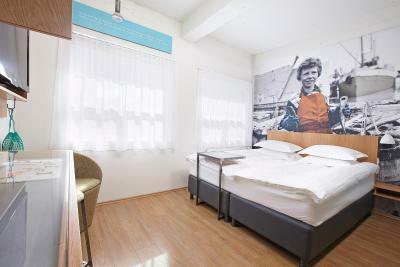 Lock in a great price for Icelandair Hotel Reykjavik Marina – rated 8.6 by recent guests! The breakfast was OK but too expensive. At that price level there should be some variety from day to day. Sausages? Scrambled or fried eggs? We stayed four nights and the souffle got monotonous! Hotel and rooms had a cool funky decor. I loved the L'Occitane toiletries. Nice spacious bathroom. 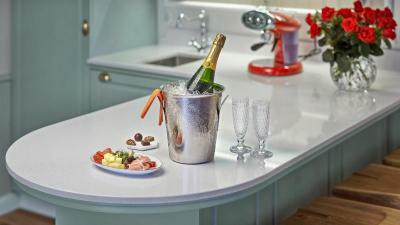 You could get a voucher for a free drink at the Bar by forgoing housekeeping. Breakfast was good (although doesn't change day to day). 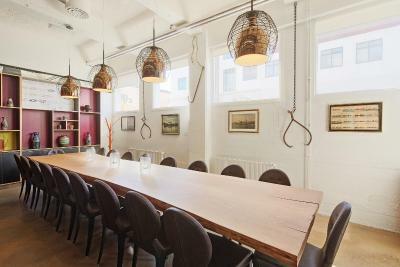 Location is good - close to Old Harbour but still easy to walk to the city centre. 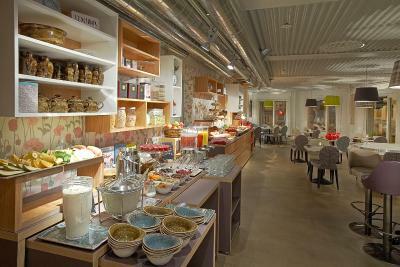 Breakfast buffet was good/okay , although expensive. 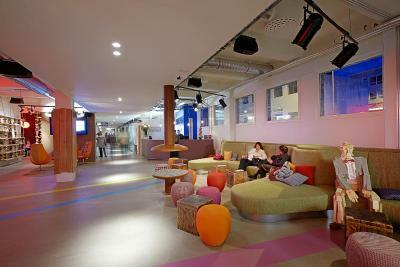 The lobby and bar were really cool and the hotel was really just s short walk to everything in the city center. The front desk staff was very good and helped us with reservations for tours, transportation, etc. Also, the coffee bar staff was especially nice. I really liked that you could give up cleaning services on the days you wanted and got for that vouchers to use at the hotel restaurant. Great idea! 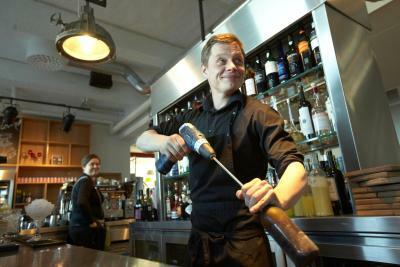 The location was excellent and the staff friendly and helpful. The breakfast was very good and the social hour was fun. We had a wonderful visit to Iceland! The location and the people were tops. And the design was unique! 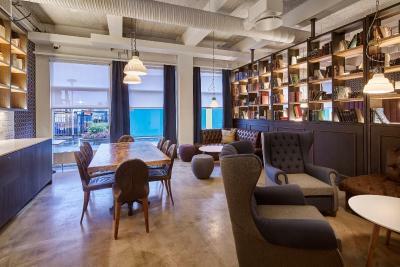 Very trendy, clean hotel located in the marina. 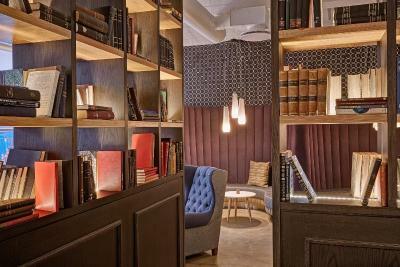 Lounge facilities very nice and gives you different options to have a coffee, beer, read, talk, etc rather than just staying in your room. 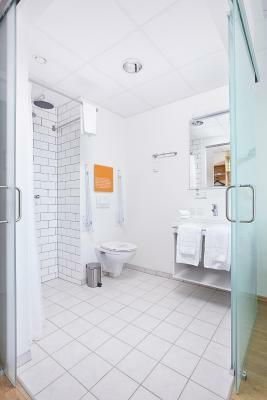 The bathroom is great including water pressure and supplied shampoo/body wash/lotion. We arrived early and they graciously offered to hold our luggage until our room was available. 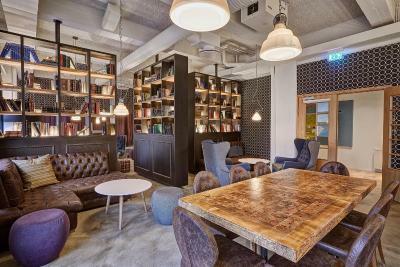 Icelandair Hotel Reykjavik Marina This rating is a reflection of how the property compares to the industry standard when it comes to price, facilities and services available. It's based on a self-evaluation by the property. Use this rating to help choose your stay! 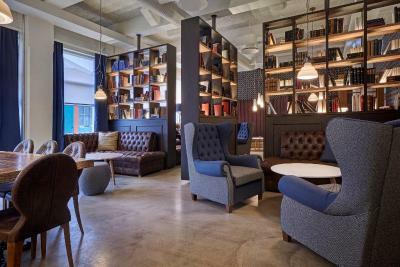 One of our top picks in Reykjavík.Set in the popular 101 harbor district of Reykjavik, Icelandair Hotel Reykjavik Marina offers free Wi-Fi access. 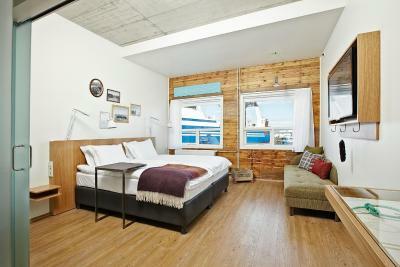 All rooms include a flat-screen TV and either city or marina views. 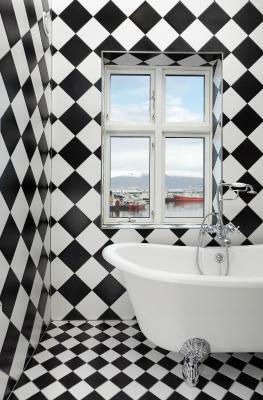 Each room at Hotel Reykjavik Marina has a private bathroom with shower. Studios include a sofa. Some rooms also have a balcony. Guests can work out for free at Slipp Gym or relax beside the fireplace in the lobby area. 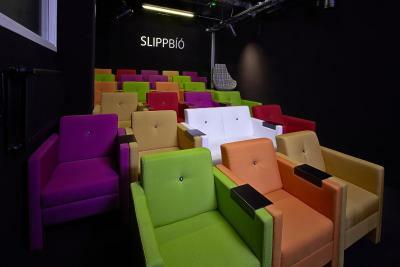 Icelandic films can be watched at Slipp Cinema. 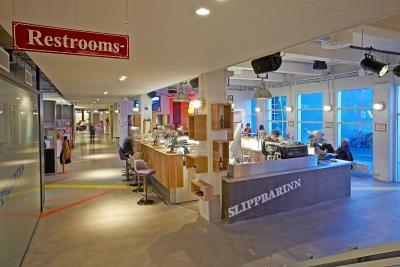 Restaurant Slippbarinn offers a selection of light meals at all times. 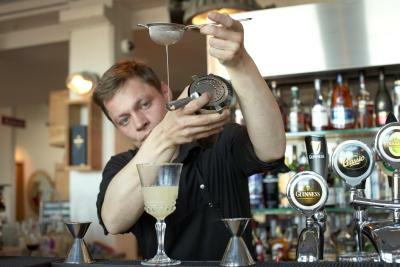 A variety of drinks can be enjoyed at Slippbarinn. Whale-watching tours depart right next to the hotel. 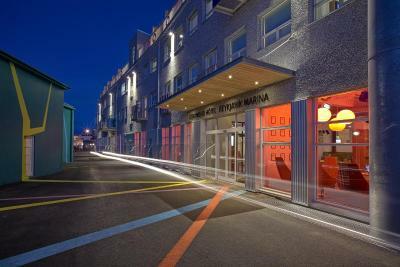 Reykjavik Art Museum is less than 5 minutes’ walk away. 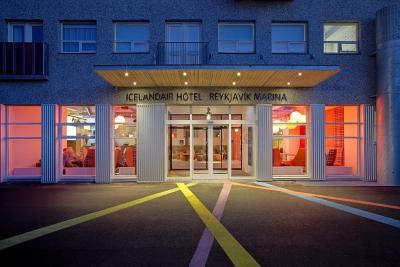 When would you like to stay at Icelandair Hotel Reykjavik Marina? Single room with maritime-inspired decor and flat screen TV. 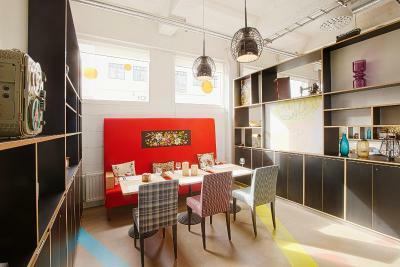 It features views of the Atlantic Ocean or the multi-colored houses of Reykjavik’s popular Vesturbaer neighborhood. 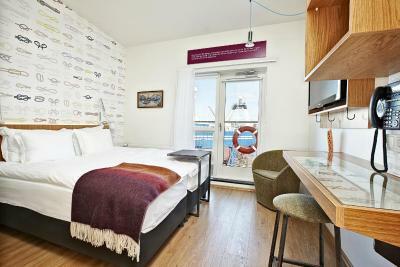 Double room with maritime-inspired decor and flat screen TV. 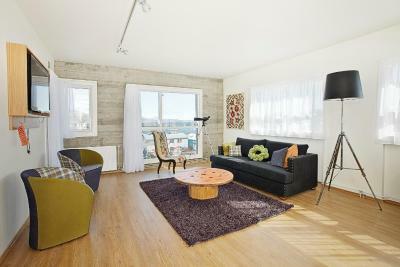 It features views of the Atlantic Ocean or the multi-colored houses of Reykjavik’s popular Vesturbaer neighborhood. 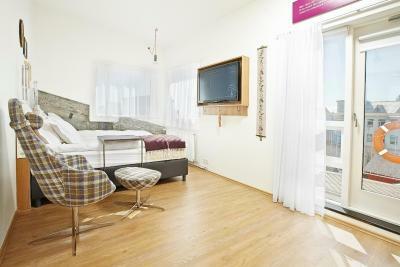 This room has a flat-screen TV and a balcony with views of either the marina or Reykjavik city. 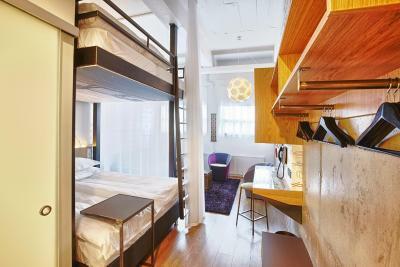 This spacious studio has a sofa and flat-screen TV. 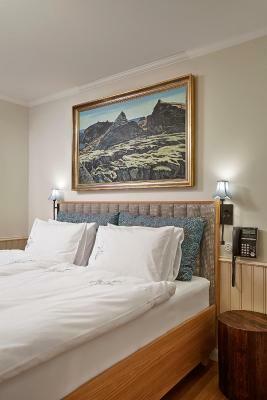 Spacious room with a flat-screen TV and views of Reykjavík Harbour. This room is fully wheelchair accessible. This suite has a seating area, sofa and bathrobe. 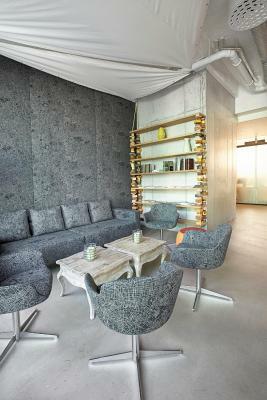 This suite has a dining area, seating area and sofa. 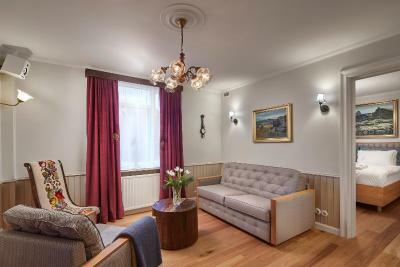 Hotel surroundings – This neighborhood is a great choice for travelers interested in tours, excursions and friendly locals – Check location Excellent location – show map Guests loved walking around the neighborhood! 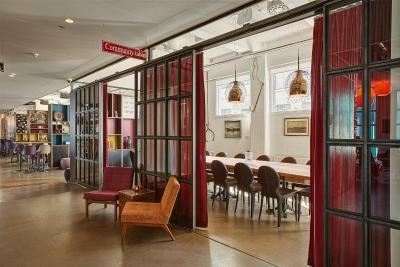 House Rules Icelandair Hotel Reykjavik Marina takes special requests – add in the next step! Icelandair Hotel Reykjavik Marina accepts these cards and reserves the right to temporarily hold an amount prior to arrival. 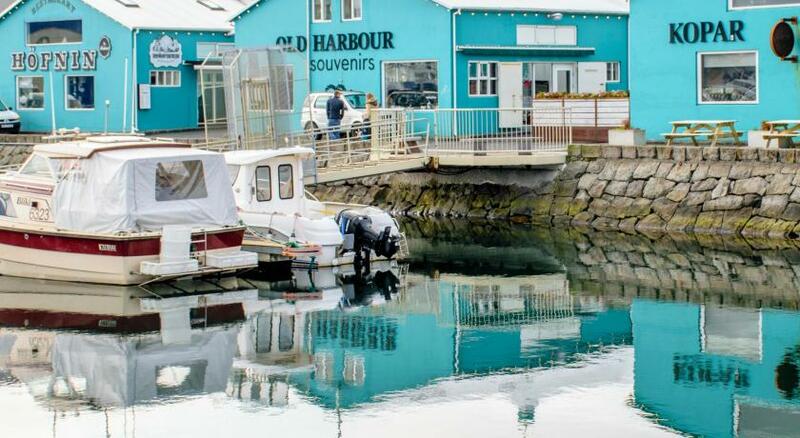 Please inform Icelandair Hotel Reykjavik Marina of your expected arrival time in advance. You can use the Special Requests box when booking, or contact the property directly using the contact details in your confirmation. Great atmosphere such as living at home. Room don’t look the same from the photo. 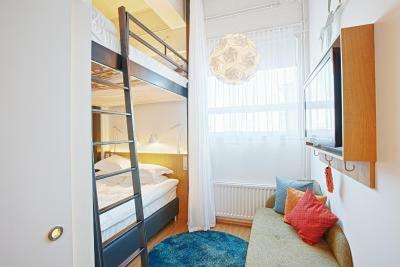 Small room even thou booking king attic room. Balcony with a view. Convenient location with free parking nearby. They do have a sense of humor with the decorations and wordings. See above. Also strange that you have only three TV channels. Even BBC news only appeared on our last day. Attractions and restaurants are within walking distance. Reception employees provide information of available car parking near the hotel. Great ambiance. Good place for kids. Absolute worst breakfast experience I've ever had in a hotel! We stayed for 2 nights and decided to add breakfast on the first morning. £25 each ish. 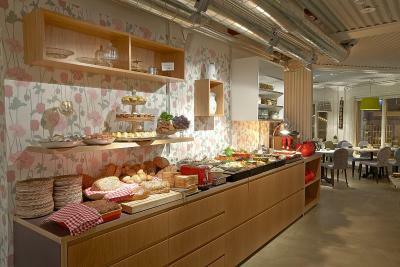 The breakfast room was SO crammed. It was a basic, unappetising buffet. None of the food was covered and there were at least 20 people at a time crowding around it. Enormous hygiene fail! So I wasn't keen to eat much of it. One young girl was coughing all over it and another person walked past it and sneezed. The only remotely hygienic thing I could see to get was some toast (self serve toaster) and a bit of bacon from the back of the tray. Other food was completely random, like a strange baked egg that looked like cheesecake, salad, cereals and muffins and cookies. THEN, when we'd managed to sniff out a nice quiet table by the window, a couple came up and asked if the other two seats were taken... on our table with us! Not a particularly romantic honeymoon breakfast. It felt like a school canteen. Enormous rip off where the food was concerned and that just topped it off. It takes quite a lot to annoy me in these situations but I thought this was just absolutely awful from start to finish. If you stay here, go out for breakfast! 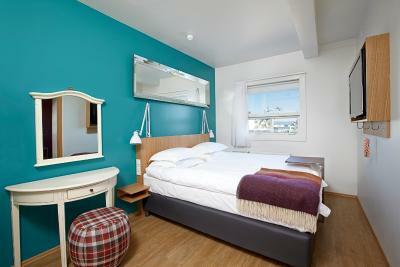 The standard rooms are really small, barely enough room to open your suitcases! You'd expect all hotels these days to have Smart TVs but this was a classic case of huge TV and nothing to watch. I think BBC Earth was the only option. 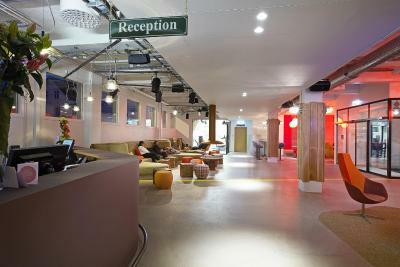 Also the gym is downstairs by reception. We didn't plan on using it but even if we had we probably couldn't have, as most of the times we walked past it, it was full of suitcases and bags belonging to people checking out. More like a store cupboard for luggage! Clean hotel, comfy beds, cool features, perfectly helpful staff and we were given a voucher for two free cocktails when we arrived as it was our honeymoon. Good view of the marina from our room. The breakfast was underwhelming and repetitive for the price. Limited hot food offerings and no croissants or pastries but I’m probably being fussy! Amazing view and balcony, lovely bathroom. Beds were comfy too. Tried to call the hotel but their phone disconnected 3 times. When we first arrived, we were assigned a horribly noisy room across from a room used for fitting people with scuba & athletic gear. They were lined up in the hall waiting & were very loud, right in front of our room. I immediately went to reception to complain and we were given a quieter room. I was very pleased that they would accommodate us.